Turnkey motion control across single or multi-axes. Prodigy® Machine Control Boards provide high-performance board-level motion control for scientific, lab automation, medical device, industrial, and robotic applications. Available in PCI, PC/104, stand-alone, and machine controller configurations, these boards support multiple motors, including Brushless DC, step, and DC Brush motors. And they are available in 1, 2, 3, and 4-axis configurations. Programmable versions of the board include PMD Corp.’s C-Motion Engine (CME) that allows developer code to run directly on the board—off-loading the system host or enabling stand-alone operation. Based on our industry-leading Magellan® ICs, these machine control boards provide user-selectable profile modes, including S-curve, trapezoidal, velocity contouring, and electronic gearing, with on-the-fly parameter change. Servo loop compensation utilizes a full 32-bit position error, PID with velocity and acceleration feedforward, integration limit and dual biquad filters for sophisticated control of complex loads. The machine controller version has on-card Atlas® digital amplifiers that eliminate the need for external amplifiers along with enhanced analog and digital I/O. Included with every Prodigy Machine Control Board is the Pro-Motion GUI which makes it easy to set up and analyze system parameters and motion performance. PMD Corp.’s C-Motion and VB-Motion language simplifies the program development process and enables the use of industry standard C/C++ or Visual Basic programming languages. 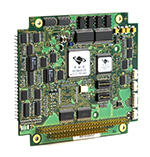 Our Prodigy ®/CME Stand-Alone Machine Control Boards provide machine designers and engineers the capability to download and run motion programs directly on Prodigy boards. This capability off-loads the PC host and increases the flexibility to distribute motion programs throughout the machine. Programs can be downloaded to the Prodigy board over UDP and TCP Ethernet protocols, in addition to serial and CAN bus protocols. They communicate via 16-bit parallel, Ethernet, serial, and CAN bus. PMD Corp.’s Prodigy/CME Stand-Alone boards offer advanced motion control for scientific, lab automation, industrial, and robotic applications. Our motion control boards support multiple motor types, including Brushless DC, step, and DC Brush. Prodigy/CME Stand-Alone boards are also available in 1, 2, 3, and 4-axis versions. Our Prodigy®-PC/104 Machine Control Boards provide Brushless DC, Step, and DC Brush motor control. They communicate via a PC/104 bus, CAN bus, or serial port. PC/104 boards are used in embedded motion control systems for industrial control, automation, and robotic applications. The Prodigy boards are available in 1, 2, 3, and 4-axis versions, and use the advanced Magellan® motion control IC. Performance Motion Devices' development software, Pro-Motion, and easy-to-understand developer language, C-Motion and VB-Motion, also ships with each machine control board. 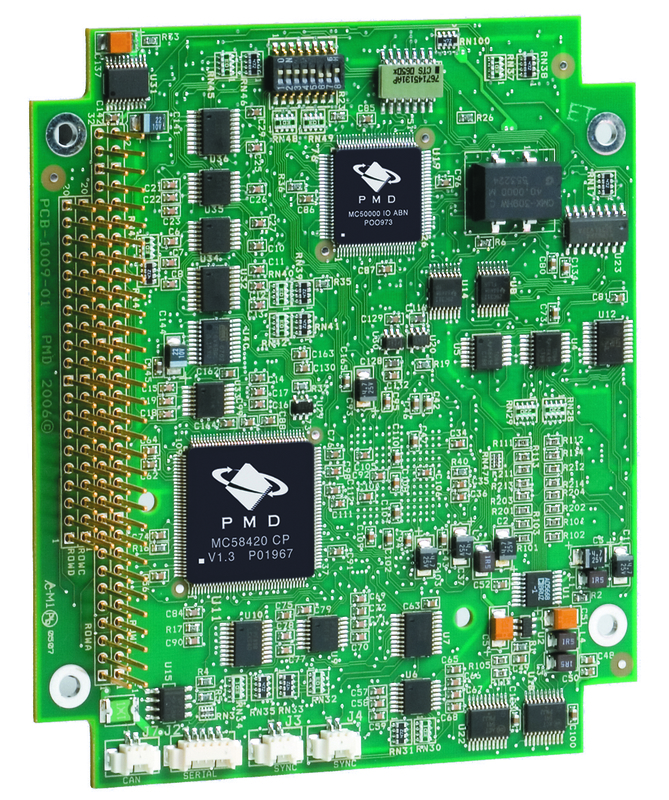 PMD Corp.'s Prodigy ®/CME PC/104 Machine Control Boards provide equipment designers the capability to download and run motion programs directly on Prodigy motion control boards. This capability off-loads the PC host and increases the flexibility to distribute motion programs throughout the machine. Programs can be downloaded to the Prodigy board over UDP and TCP Ethernet protocols, in addition to serial and CAN bus protocols. They communicate via 16-bit parallel, Ethernet, serial, and CAN bus. PC/104 boards are used in embedded motion control systems for industrial control, automation, and robotic applications. The Prodigy/CME PC/104 motion boards are available in single or multi-axis motion control. They use our high-performance Magellan® positioning ICs. All PC/104 boards come equipped with Pro-Motion® GUI, C-Motion® application programming language, and VB-Motion® development software. Prodigy boards support multiple motor types including Brushless DC, step, and DC Brush motors. Performance Motion Devices' Prodigy®-PCI Machine Control Boards offer advanced motion control for scientific, automation, industrial, and robotic applications. These motion control boards support multiple motor types, including Brushless DC, step, and DC Brush motors. Prodigy®-PCI motion control boards are available in 1, 2, 3, and 4-axis versions and are designed in surface mount technology. Our development software, Pro-Motion, and easy-to-understand developer language, C-Motion and VB-Motion, also ship with each machine control board. 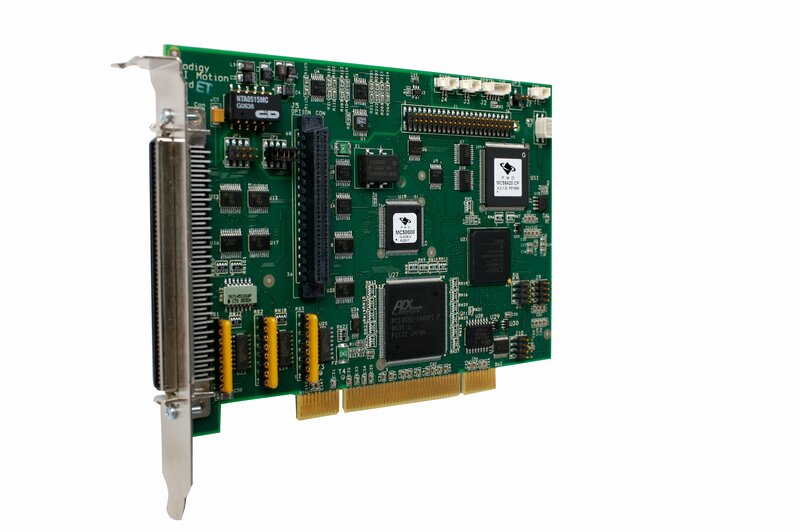 Our Prodigy/CME PCI Machine Control Boards provide lab automation, medical device, industrial and robotics equipment designers the capability to download and run motion control programs directly on Prodigy boards. This functionality off-loads the PC host and increases the flexibility to distribute motion programs throughout the machine. Programs can be downloaded to the Prodigy board over UDP and TCP Ethernet protocols, in addition to serial and CAN bus. These motion control boards support multiple motor types, including Brushless DC, step, and DC Brush. Prodigy®-PCI boards are available in single or multi-axis motion control, and are designed in surface mount technology. 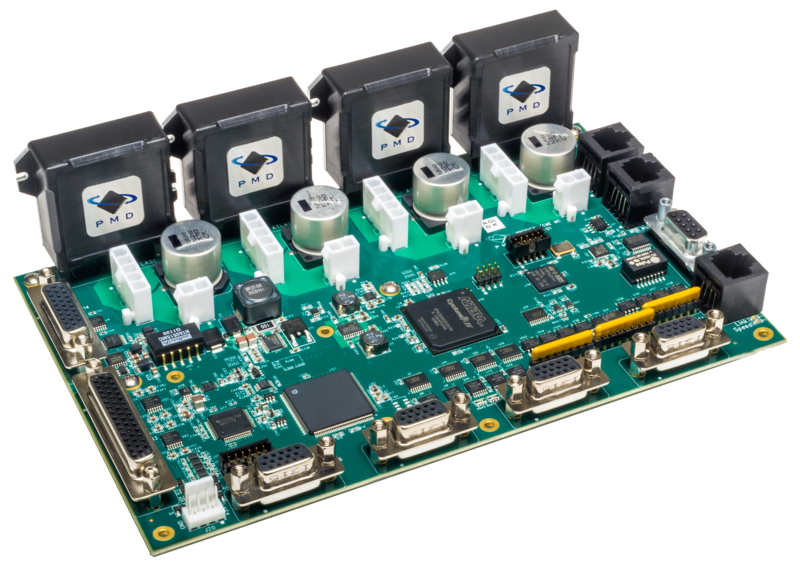 Our Prodigy ®/CME Stand-Alone Machine Control Boards provide machine designers and engineers the ability to download and run motion control programs directly on the Prodigy boards. This capability off-loads the PC host and increases the flexibility to distribute motion programs throughout the machine. Programs can be downloaded to the Prodigy card over UDP and TCP Ethernet protocols, in addition to serial and CAN bus protocols. Motion conrol boards communicate via 16-bit parallel, Ethernet, serial, and CAN bus. PMD Corp.’s Stand-Alone machine boards offer high-performance motion control for scientific, automation, industrial, and robotic applications. They support multiple motor types, including Brushless DC, step, and DC Brush motors. Prodigy/CME Stand-Alone cards are available in 1, 2, 3, and 4-axis versions.